A Call to Action (CTA) is essentially any action a visitor can take on a webpage to move forward through the selling process in your Landing Page. You will often find a Call to Action in the form of buttons for form submissions, ecommerce purchases, downloads and more. The most obvious ones are “Click Here”, “Download Now”, “Buy Now”. 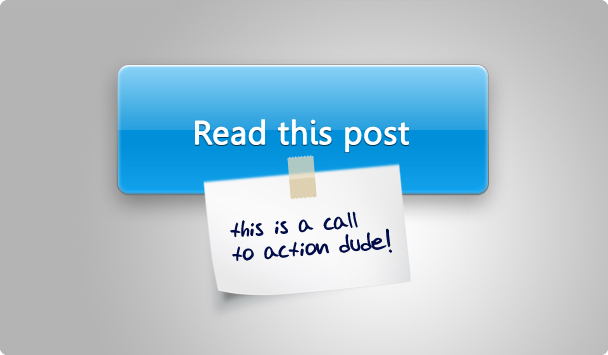 A successful Call to Action must have two components: A verb or action word and an implied sense of urgency. For example, compare these CTAs – “Download Here” vs “Download Now” – the second conveys more immediacy whereas the first conveys a place to click. The latter will perform better than the first. A Call to Action by itself does little to drive action. In a web page, it is important to have a clearly demarcated place to drive an action and is best served by buttons. Buttons come in all shapes and sizes. Test the to find out which one drives the most value for you. Place your Call to Action on a button with a color for the text that compliments the color on the button and is also easy to read. Aesthetically pleasing colors are great – though it doesn’t hurt to test a wide variety of combinations to find what works right for your visitors. The effect of the button can drive the number of people taking action too. If the button appears to be lifted against the background, it is more obvious that there is an action or if the button has shading that is relatively different from. Test the color of the button, the shading of the button, the wording on the button etc. Test small elements of the page as well as large elements by way of click through traffic. If you are using Google Analytics, it would be a good idea to check out how your website is doing. When we use Google Analytics, one of the main reports we like to run are deposited under the “Behavior” tab. Click on the “Site Content” tab and finally choose “Content Drilldown”. Use this section to start tracking down poorly performing pages. High bounce rates give you a small insight into what is wrong with the pages however, there are always other tools that can help you give further insight.